World Rugby is to trial the use of two on-field referees in New Zealand's 2016 provincial championship. The decision follows a review of the rules by rugby's governing body. Each referee's responsibilities have not been specified but it is thought the second official will police a new offside line a metre back from rucks. 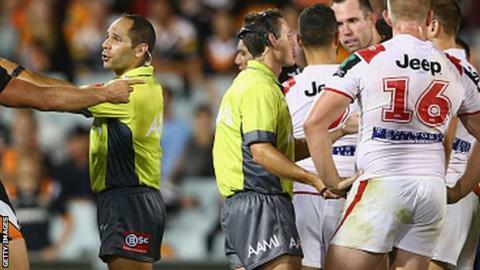 Two referees have never been used in rugby union before but Australia's National Rugby League has had two on-field officials since 2009.